Desiderio Funeral Home Inc is a local, independent funeral home. Our staff is committed to the needs of the Mountaintop area by providing the finest funeral services and facilities with a comfortable homelike atmosphere. In addition to providing our services and facilities for at need arrangements, we also want to make you aware of the benefits of funeral preplanning. Many families have told us they prefer to make their arrangements in advance. This allows them to discuss their wishes, and make important choices at a time that is much less stressful. Prefunding funeral arrangements can also be an important part of prudent estate planning. 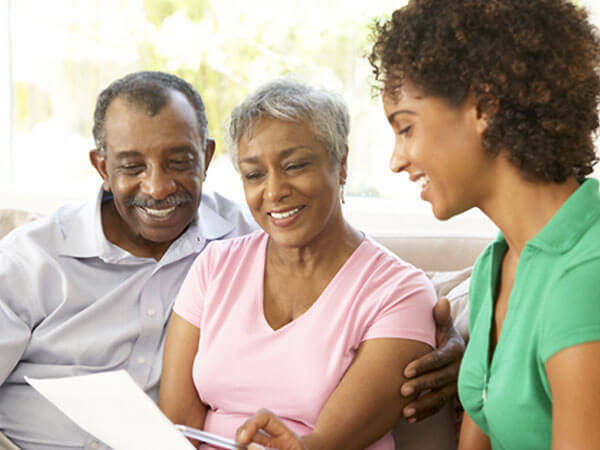 We offer funeral planning options as a benefit to families both personally and financially. If you elect to pay for a funeral in advance, the price of the services and merchandise are guaranteed. You are essentially paying for a funeral at today’s price, even though the need might not occur for many years. We will be happy to discuss the advantages and costs of funeral planning. All of our funeral counselors are licensed funeral directors. They are best able to explain planning options and answer your questions about funeral planning. in the family is healthy. often not reviewed until after the funeral. expense and select only those services you want. for your family to spare them difficult decisions.